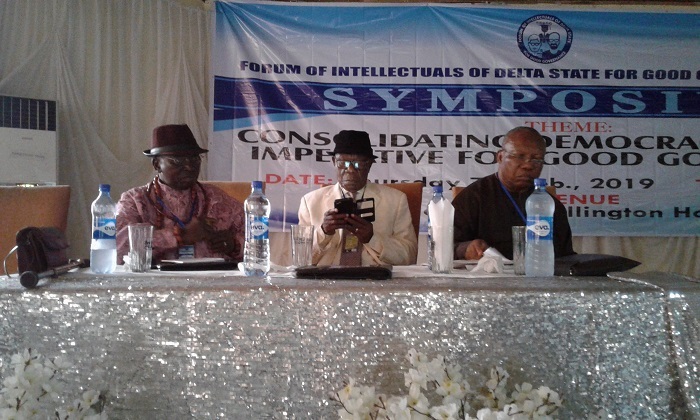 Forum of Intellectuals of Delta State for Good Governance, FIDAGG has called for the strengthening of anti-graft agencies in the country in the quest at fighting the monster of corruption, warning that the crusade against corruption should not be “seen as selective or means of targeting perceived foes”. The group’s position was espoused by prominent Delta-born academic, Prof A.E Ekoko Thursday February 7 at Effurun near Warri, during a symposium organized to x-ray Nigeria’s democratic journey in the build –up to the February 16 and March 2 polls. FIDAGG commended AFENIFERE, Middle Belt Forum, NEF, OHANEZE and PANDEF for endorsing a consensus candidate (Alhaji Atiku Abubakar) and aligned with the elders’ forum in their agitation for restructuring of the country. Chairman of the Research and Strategy Committee of FIDAGG, Prof. Andy Egwunyenga, while speaking on sustainable democracy and the build-up to 2019 elections, opined, “the quality of life of the generality of Nigerians has continued to deteriorate”, adding “inspite of the hype and promise of the peaceful transition and transfer of power in May, 2015, Nigerians have continued to groan under the weight of mounting challenges of National cohesion, economic decline and poverty, decaying infrastructure, crime and insecurity, rising unemployment, crisis in our health and educational sectors and arguably worsening corruption”. 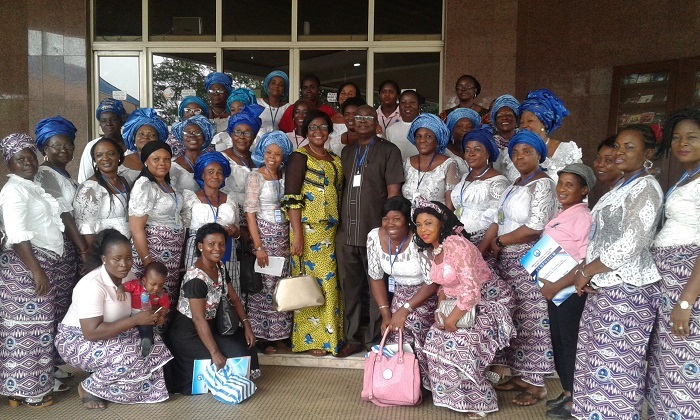 According to Prof. Egwunyenga, “after almost four years of Delta State Government’s pursuit of its manifesto called SMART agenda, progress made is evident in the various job creation programmes, focus on technical and entrepreneurial education, road construction, implementation of sustainable contributory health insurance scheme and urban renewal initiatives across the state”. He noted that a lot more needs to be done to reduce the menace of “Fulani herdsmen and there is need for industrialization of the state to generate more employment for our teeming youth population”. Our Correspondent, Ossai Rita reports that participants who spoke at the symposium included representatives from the traditional and academic institutions as well as student union bodies.